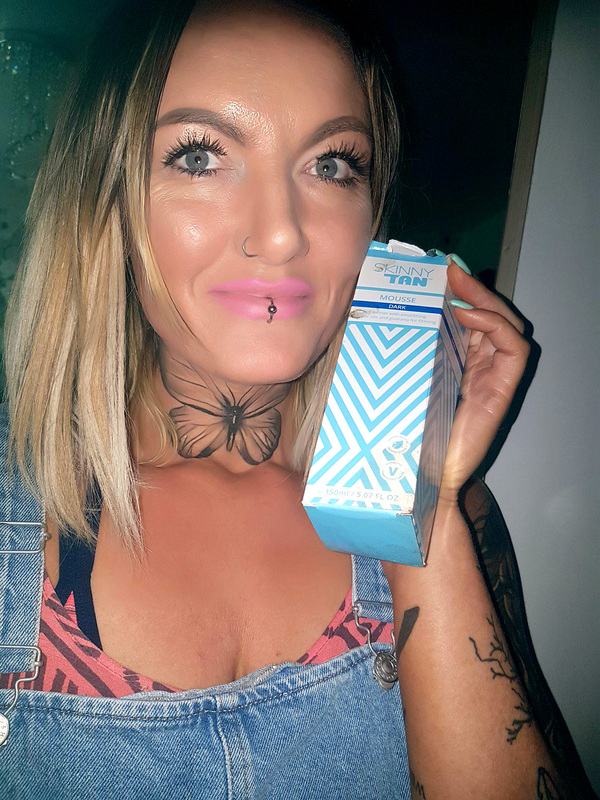 Fake tanning is notorious for being one of those beauty techniques that can go one way or the other, with some being transformed into bronzed gods while others look decidedly more like oompah loompahs. 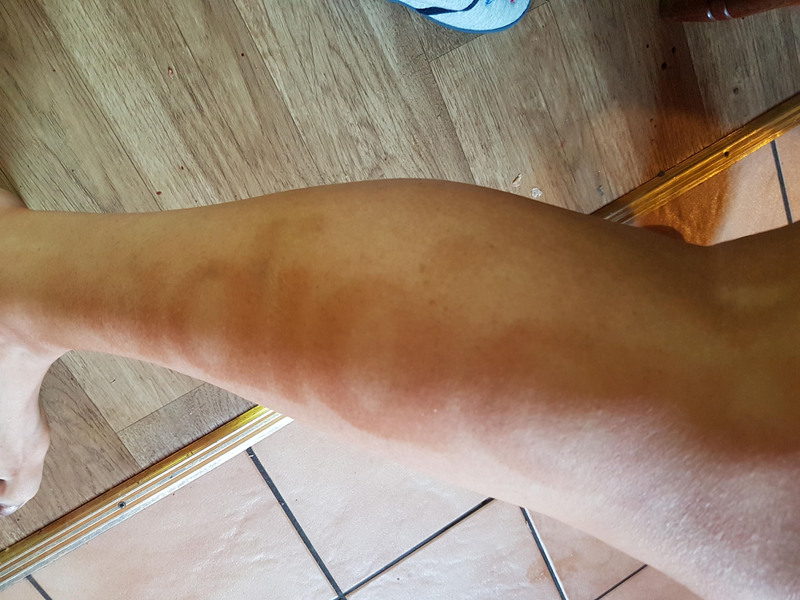 And one woman’s recent application fail has proved just how tricky it can be – having washed off her fake tan after applying it overnight, only to find an Adidas logo branded on her leg. 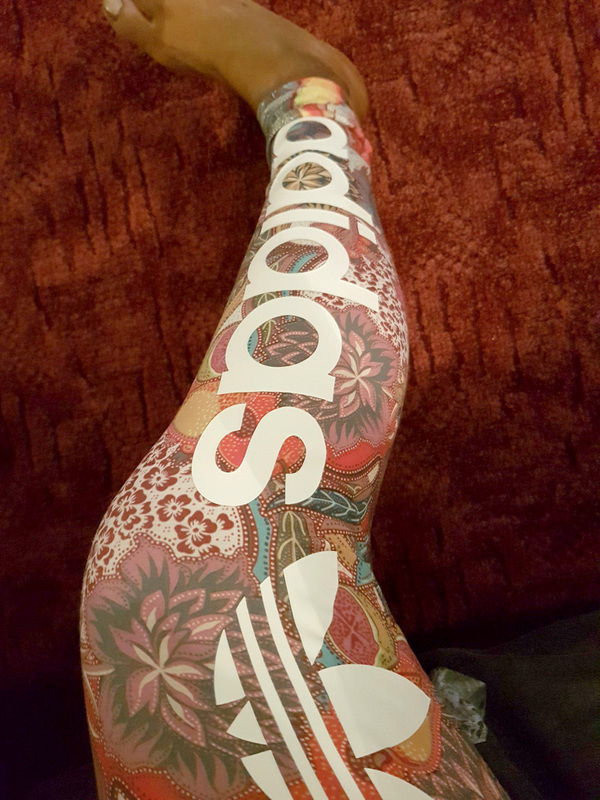 Kimberly Davis, a 36-year-old beautician from Mansfield in Nottinghamshire – and also a self-proclaimed ‘dumb blonde’ – had worn a pair of Adidas leggings to the gym after applying the tan, meaning that when she tried to wash it off she was left with a logo that was two tones darker than her normal skin tone. Kimberley said: “I knew that the weather was looking great for the next few days so I decided to buy some extra dark fake tan mousse. “I applied it as usual the night before, but ran out of time in the morning to wash it off, so quickly headed to the gym. “When I got home and went to wash the tan off I saw that the tan was darker in parts, and spelt out ‘Adidas’. Kimberley even tried to apply more fake tan to even out the leg, but admitted it was too little too late. She continued: “I tried to cover up the logo as best as I could with more tan, but I can still faintly see the outline so I’ll have to stick to trousers. “I might wear a dress around town, but the logo is so obvious that it’s likely that people will recognise it. “I don’t know what happened, whether it was the fact I was hot and working out that made it darker in those parts, or that the materials didn’t mix together. Kimberley said her family and friends have been able to see the funny side of things – as have complete strangers. She added: “I think of myself as a dumb blonde, so my friends and family expected nothing less from me. “Everyone who has seen the photo has found it hilarious and can’t believe that I have to walk around like this.